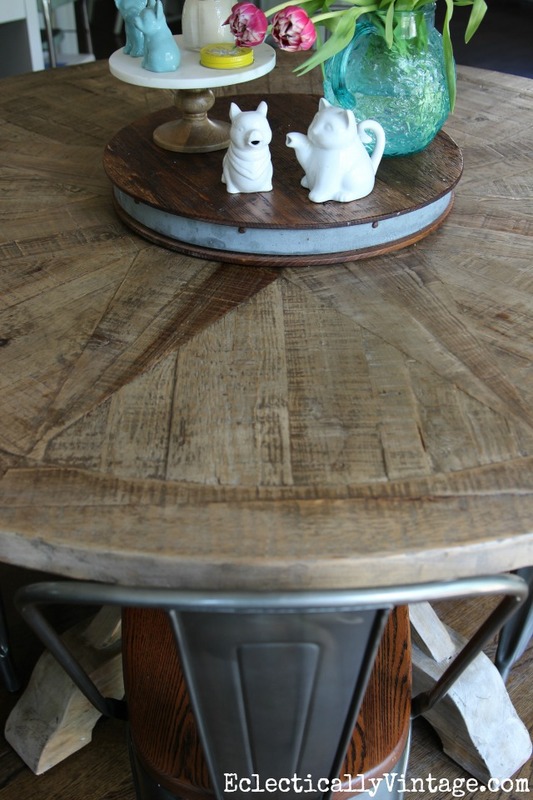 I love round tables. They makes for easy conversation with everyone. 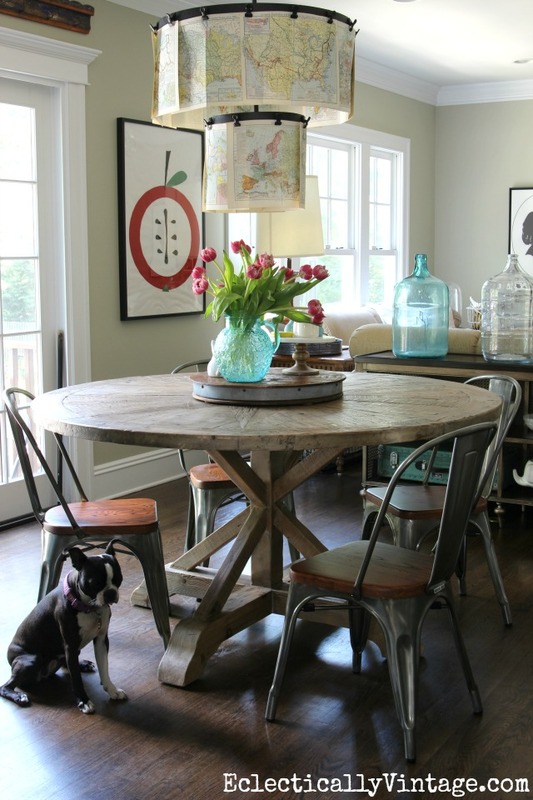 I’ve been dreaming of a warm, rustic, farmhouse style round table for my kitchen for years and finally found this gorgeous farmhouse table (update: table is sold out). 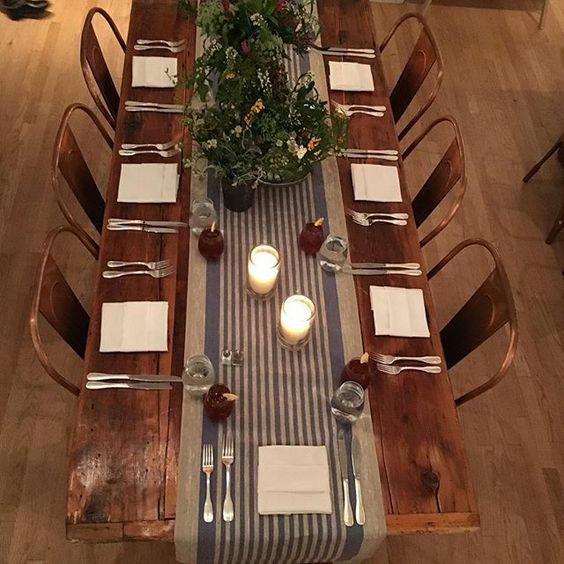 Back in the fall, I went to an amazing dinner in NYC hosted by Lowe’s and was welcomed into this gorgeous dinner where everything was from ATG Stores (stands for All That’s Good). 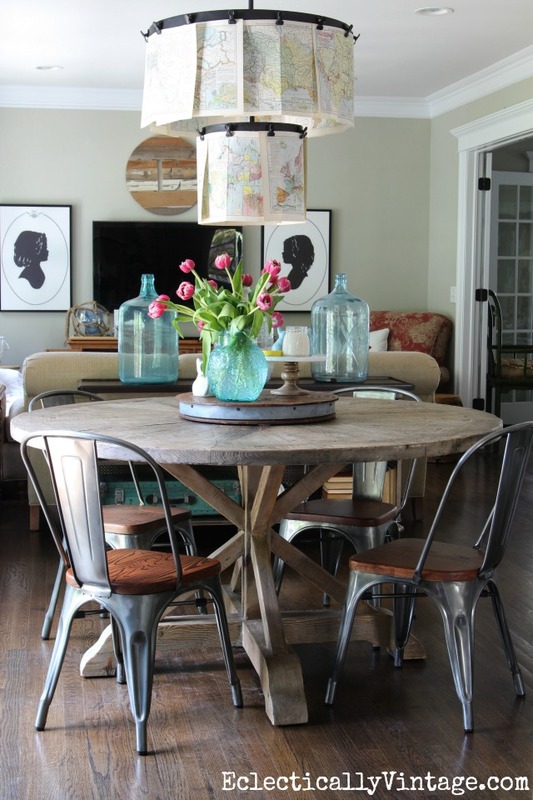 We teamed up on this post after I fell in love with the selection of furniture – the farmhouse table, the copper chairs and more! 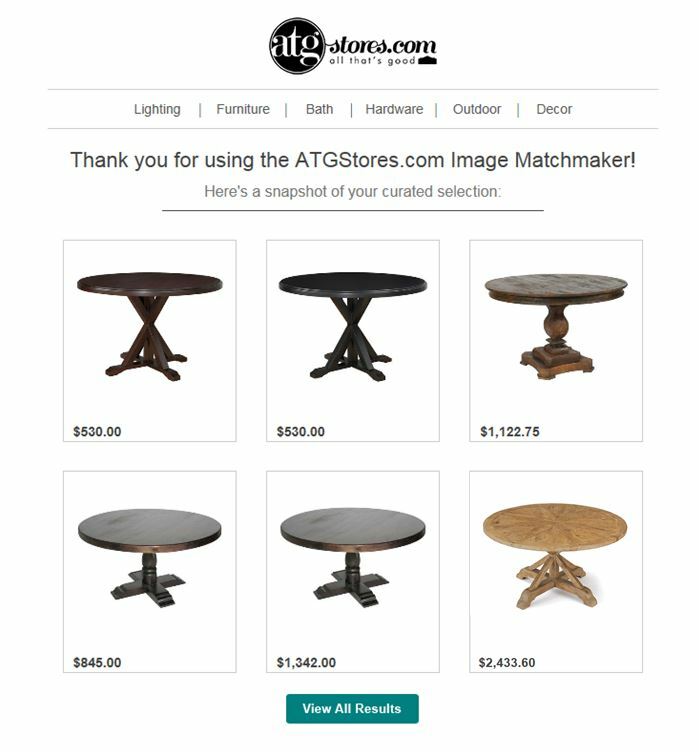 I was thrilled to discover ATG Stores has this very cool feature called Image Matchmaker where you can upload an inspiration picture or share a Pinterest board and they will email you matches. 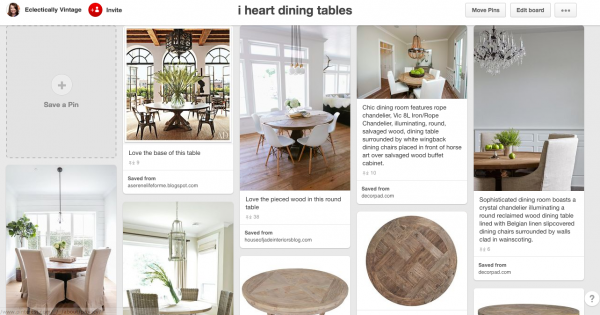 Image Matchmaker is the Patty Stanger Millionaire Matchmaker of furniture shopping! 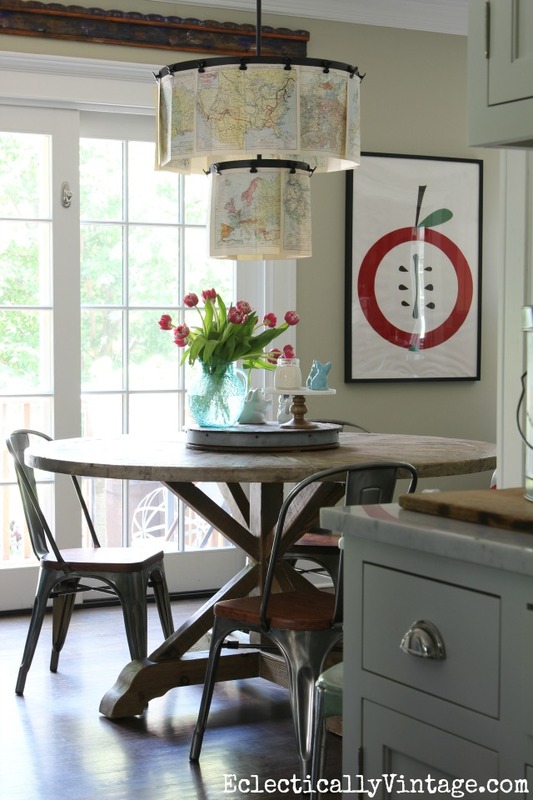 Image Matchmaker is a mind reader and it brought me this gorgeous farmhouse table! We’ve been very happy staring into each other’s eyes over candlelight dinners and getting to know each other better. 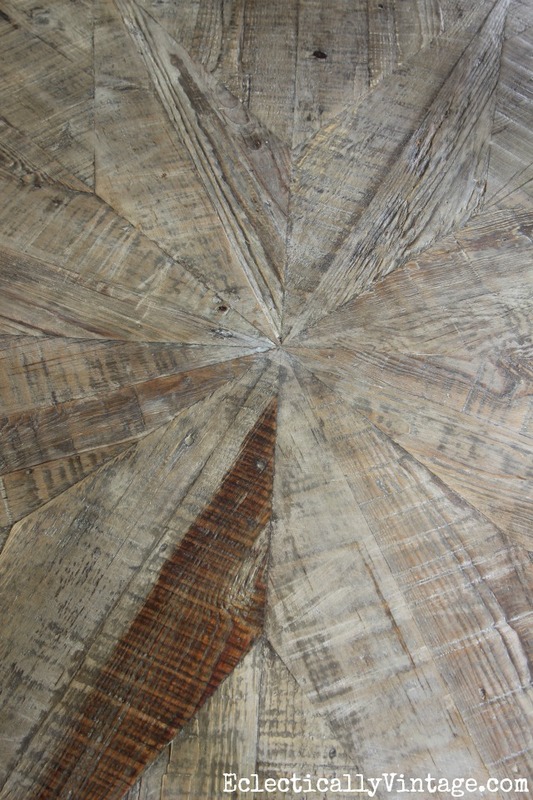 I love the way the wood is pieced together into a star shape – so much texture and interest. 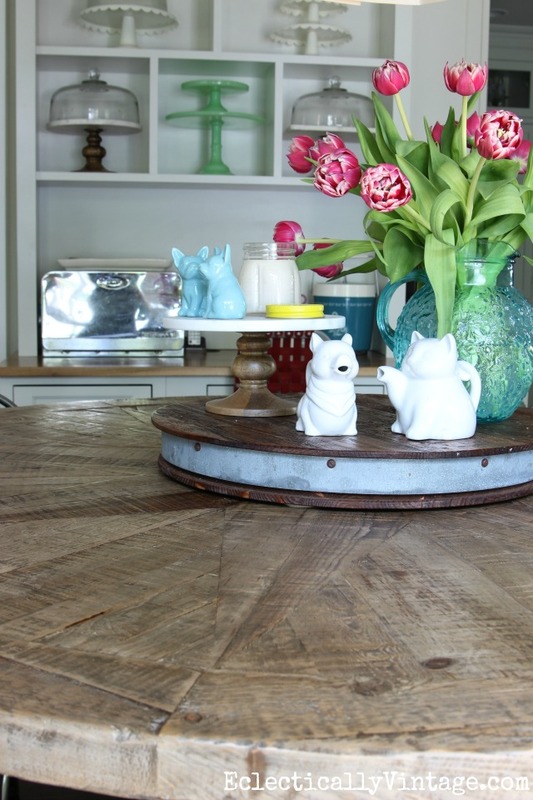 It’s real wood – no veneers – and I think it looks like it just came out of a country barn! 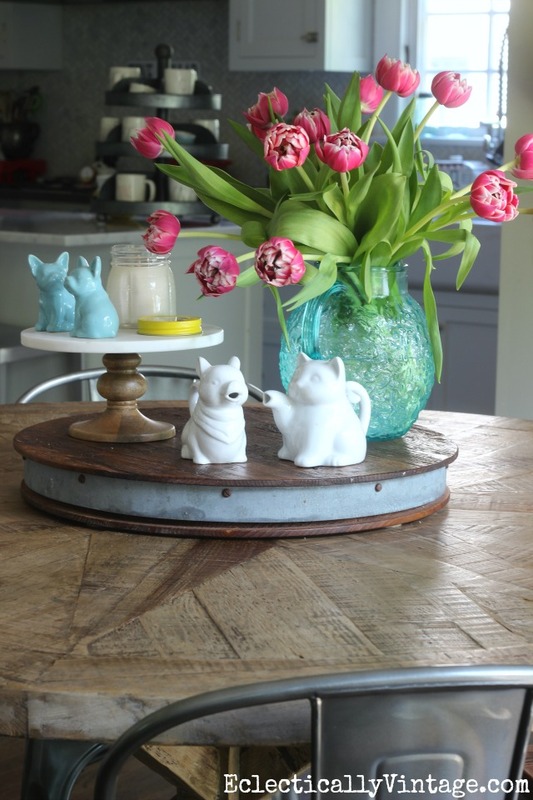 The base is beautiful too and it was a cinch to put together – I just had to screw the table top onto the base. My table and I are a match made in heaven. Thanks for supporting the brands that make this blog possible. I’ve partnered with ATG Stores on this post but all opinions are my own. She’s a beauty!!! 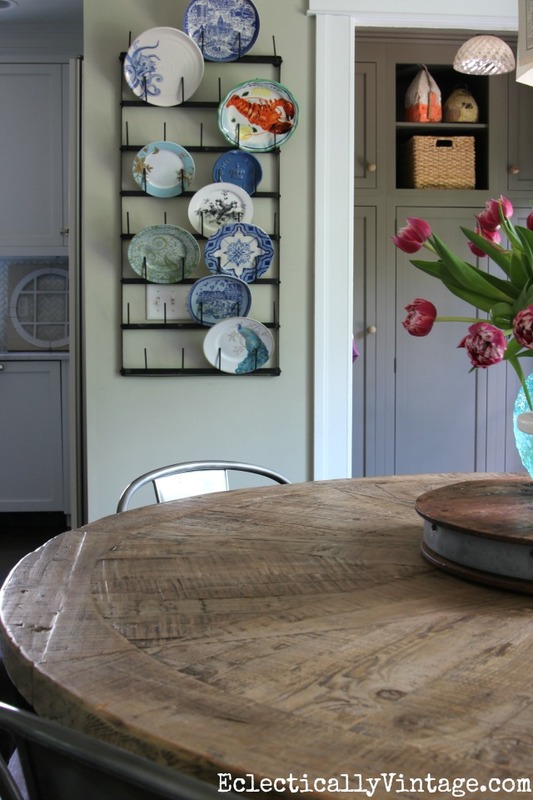 Fits perfectly in every way in your house! Thanks Diane – you’ll have to come for dinner and try her out! 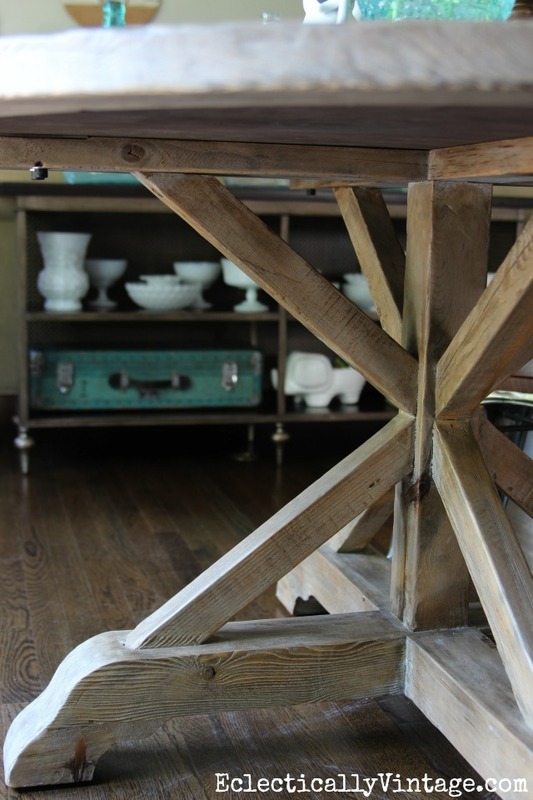 That is an AMAZING table! It’s out of stock, though. How many people can you seat comfortably around it? Oh no – I can see why it’s out of stock! I have four chairs now and there is plenty of room for more. I think 6-8 could be seated comfortably – depending on the size of the chairs. 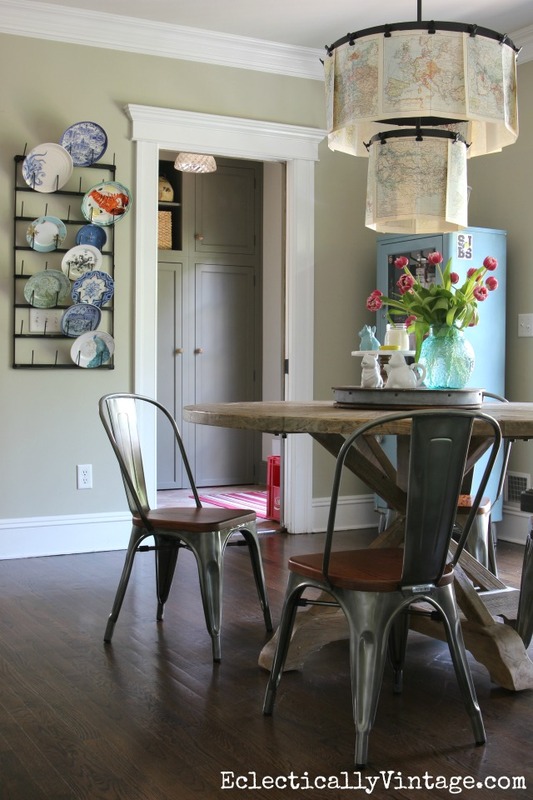 I absolutely love the table chair combo! Can I ask where you got your chairs from? Thanks! I have been out of town visiting,so i am a little late but i love your table. It is perfect with all your wonderful things. 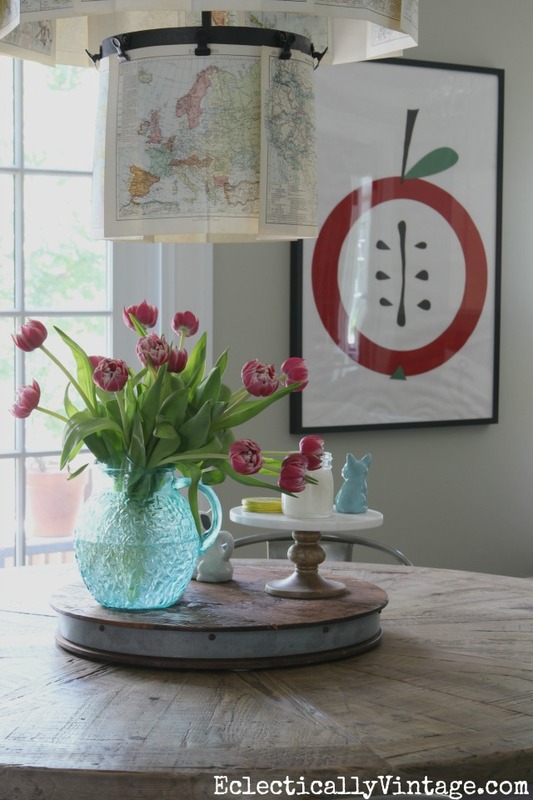 I love that table. All I can say is WOW! Thank you so much – I am really loving it too!